Sunday, Marcy 18, 11 a.m. – 2 p.m. There will be a free will soup and sandwich luncheon, silent auction, and live auction. Auction items will have drop off spots available in Buffalo, Reva, Ludlow, and Bowman. More information to follow. On March 5, Kolby and Paige (Larson) Parmely of Reva, South Dakota were cherishing their sleep at 2:30 a.m. In a rare middle-of-the night moment, their 3-month-old son and 2-year-old daughter were sleeping – and so were they. And then, they were not. Paige recalls looking up in a groggy state to see smoke rising out of their bedroom closet. "I just happened to wake up. At first I thought it was a dream, then I realized it wasn't going away." 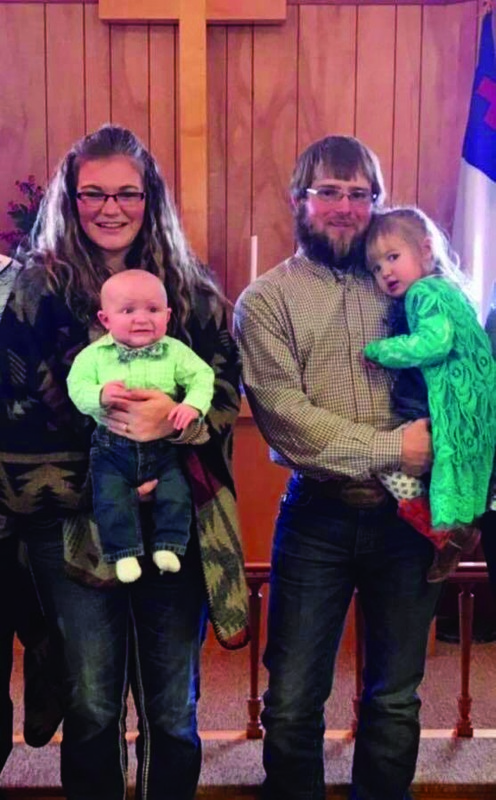 An apparent electrical fire, that had probably started at or near the breaker box in the closet, eventually consumed the entire house despite efforts by Kolby and Paige's dad Will who lives just 2 miles away. "Dad said from every crack and crevice in the house smoke was rolling out," said Paige, who grew up on the family ranch north of Reva and was making her home, along with her husband and two young children, right on the ranch. Virtually nothing was spared, but the couple is most thankful that their children are safe. The family dog was also spared. The young family is staying in Buffalo, in a house owned by Paige's parents Will and Danielle, until plans can be made and implemented for permanent housing. 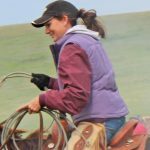 Kolby works for a local ranching family and Paige is a stay at home mother. She hopes they can re-build on the Larson ranch once again. Although the family has received several donations of clothing, they are still in need. A fund has been set up to receive donations and a fundraising event scheduled for March 18. Paige said they are grateful for the items they have already received and that cash donations at this time would be most helpful.